The aid community should proceed carefully to avoid enflaming sectarian tensions in Myanmar’s Rakhine State more than a year after the first wave of inter-communal violence. “The biggest challenge faced by humanitarian aid groups to operate in contexts of sectarian violence is to be perceived as delivering aid in a biased manner,” said Jeremie Labbe, a senior policy analyst of humanitarian affairs at the International Peace Institute (IPI) based in New York. “It is up to aid agencies to redouble efforts to explain and communicate with all segments of the population why aid is distributed in a certain way, and how - in order to mitigate possible negative effects,” said Labbe. According to Human Rights Watch (HRW), the current situation of “warehousing” - where Rohingya people are “penned in by local security forces” in both official and unofficial camps - is untenable for forging peace in Rakhine State. 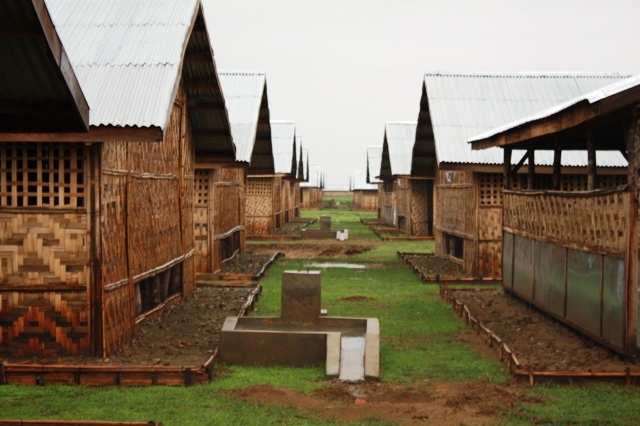 “Our problem is not with shelters per se, but rather with supporting the construction of shelters in the camps, which may result in permanent segregation of the communities... We would rather see those displaced return voluntarily to their home villages and towns where we could provide assistance for rebuilding. Shelter needs in the camps have to be balanced with the humanitarian principle of `do no harm’” he added.